So you’ve had an epiphany that you want to buy a vintage motorcycle. You’ve looked online at different models and have already shortlisted a few options. But before you spend thousands of dollars on a classic British motorcycles, ask yourself a very important question; are you even sure why you want one? Often bike enthusiasts let their passions get the better of them as they tend to make decisions in the spur of the moment and don’t focus on their long-term implications. This is why it’s important to keep a level head when making such an important decision. We’ve compiled a short list that will help you find a classic model custom-tailored to your needs or preferences. So, if you’re unsure which classic motorcycle to buy, read this guy to make an educated decision. 1. Where Will You Drive It? The first thing we need you to ask yourself when it comes to buying vintage motorcycles is where you intend to drive it. Generally speaking, there are two distinct types of motorcycles that are optimized for two totally different terrains (i.e. dirt and asphalt). So, before you spend thousands of dollars on your classic motorcycle, ask yourself where you would like to drive your motorcycle. 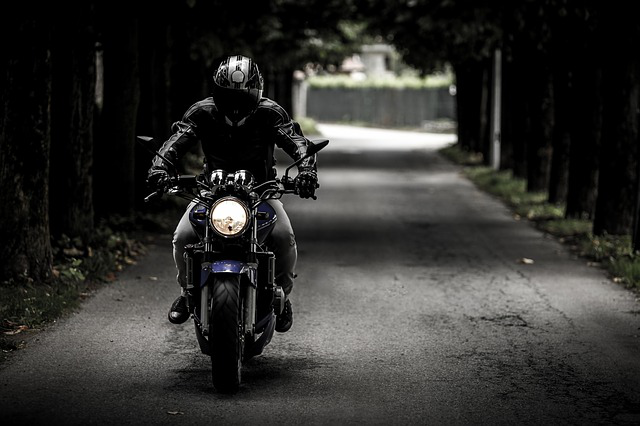 Making this decision early on will prevent you from getting distracted by side projects and leads to a more logical and target-oriented approach when it comes to buying a custom motorcycle. Another important issue that we want you to address before you even look at different models online is the amount of money you’re willing to part with. Simply put, what’s the point of swooning over a beautiful two-wheeler only to learn that you just can’t afford it? So, make sure that you never waste your time in the selection project by setting up a practical budget. Be honest with yourself and don’t over-commit if you don’t have to. After all, you’re not entering a popularity contest; you’re buying the bike for your own happiness. 3. Is Your Bike Popular? Ask any bike enthusiast and they’ll tell you that not all classic motorcycles are created equally. While an Indian Chief may be very easy on the eye, it’s important to know that it’s not nearly as popular as a Harley Davidson. Therefore, before you buy a bike, make sure to analyze its popularity. This will ensure that you get a handsome return on investment should you choose to sell it a few years down the line. However, if you’re certain that you never want to sell your vintage ride then opt for the option that speaks to you the most! 4. How Much Work Do You Need to Put into It? It’s an unspoken truth of the biking world that vintage motorcycles come with a plethora of different problems. Ranging from poor alignment to clogged engines, these problematic issues can easily set you back a few thousand dollars. So, before you sign the paperwork, make sure that you know how much work will go into. A simple and effective way of doing just the same is by bringing the vintage motorcycle down to our bike repair shop in Frenchtown, NJ. The Classic Cycles Ltd team is a massive fan of classic rides and can easily help you find the best price for a vintage set of wheels. Furthermore, we also offer reliable bike tune-ups and maintenance services that can help you identify any and all problems with your new motorcycle. This will help you develop a better idea of how much money to invest in your new bike. Don’t leave the fate of your new bike up to chance. Get in touch with us today to ensure that you get the most bang for your buck when buying a vintage motorcycle!